Faside Castle is perhaps best known for its association with the Battle of Pinkie in 1547. This was the last battle between Scotland and England as separate nations and the Duke of Somerset commanded the English from a position beside the castle. An account of the battle was given by the Dukes ordnance (Mr W. Patten) and was published in 1958 in "The Expedicion into Scotlande". This book also includes sketches showing the progress of the battle, with the final sketch showing Faside Castle in flames. The name Faside can be traced to "William de Ffauside" who sat in the the Scottish Parliment during the reign of King David I from 1124 to 11 53. A charter referring to this also exists and is dated to 1189 between the Monks of Newbattle and Saier de Quencys and the Setons. Since that time Fawside has passed through several families including the Fawsides, the de Quencys and the Setons amongst others. The name Faside has many spellings including Ffauside, Fauxside, Fawsyde, Falside, Fawside and these appear in various documents, charters and deeds relating to the family. It is believed that Robert de Quency built a castle at Faside in the 12th century. An earlier tower had stood at the site of Faside preceding the 14th century tower which survives today. Details of these families can be found on our Wikipedia Page. The outline of roman settlement can be seen from the air in the field to the west of the castle. The de Quencys along with other Norman families had come from Normandy with William the Conqueror. Four charters in the 12th and 13th centuries still survive in the National Library of Scotland and relate to an agreements made with the Monks of Newbattle. One of the these documents is the first Scottish document relating to the coal mining trade. East Lothian was historically the home to thousands of pit mines and it was rumored that an escape passage connected Faside Castle to Lorretto and Elphinstone Tower. Coal continued to play an important part in the life of the inhabitants of the castle and in 1620 the Government reacted to a case of 'price fixing' brought about by Lady Fawside and other local mine owners. Local feuds are recorded in which the Fawsides were involved but the major battle with which they were associated was the Battle of Pinkie. Faside Castle is not referred to in the window tax records between 1748 and 1798 thus suggesting that the castle was uninhabited during this time. The castle remained uninhabited and was twice threatened with demolition. Images from this time can be seen on the RCAHMS website. The farmer at St Clements Wells who owned the land that Faside stands on applied for permission to demolish the building due to a fear someone could get injured. East Lothian Council Planning Authority granted permission for demolition. This prompted a local outcry and the demolition did not proceed. 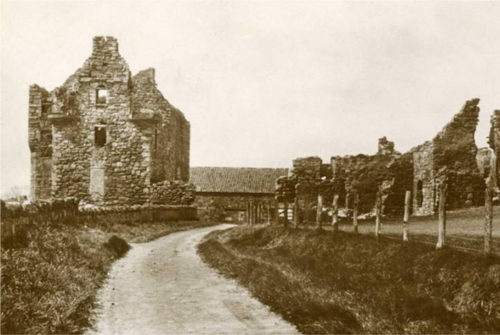 A few years later, the farmer again approached East Lothian Council for permission to demolish and after this was again granted, the author Nigel Tranter and Provost of Musselburgh - Bill Caird, formed a group dedicated to making the castle ruins safe and set about finding someone willing to take on the restoration. The engineer Tom Craig who used to run past the castle when he was a schoolboy at Loretto purchased Faside along with his wife Claire in 1976. 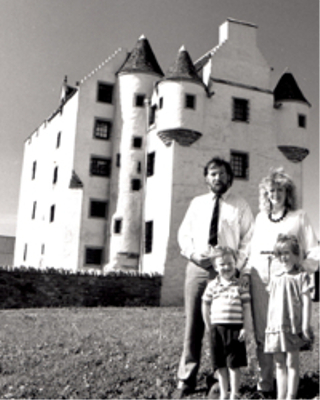 After many years of hard work on the part of the Craigs, the nearly restored castle was sold to Jamie and Charmie Douglas in the late 1980s. Following a car accident, the castle was sold in 1989 to Ian and Sue Brash who still live in it with their family.